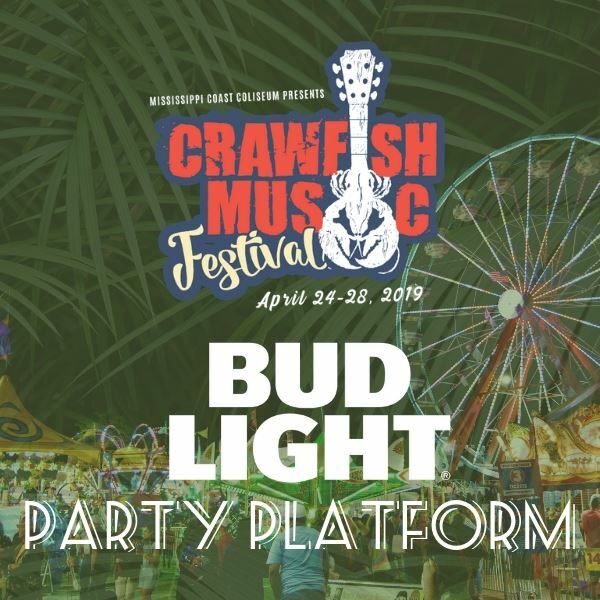 The Crawfish Music Festival features headline entertainment, hot boiled crawfish, food and merchandise vendors and midway rides. We want you to experience it all! Food, vendor merchandise, ride tickets/unlimited ride armbands all available for additional purchase. 3 DAY WEEKEND PASS General Admission Entry into the festival for 3 days April 26, 27, 28!! Ride tickets/unlimited ride armbands available for additional purchase. *Not available for reserved seating. GENERAL ADMISSION BY DAY General Admission Entry into the festival valid on any 1 day (you choose the day). Ride tickets/unlimited ride armbands are available for additional purchase. RESERVED TICKETS Entry into the festival. Reserved seats are setup in front of the stage. Pit tickets are standing only closest to the stage. If you love music, crawfish, and having fun you will want to be here all weekend! 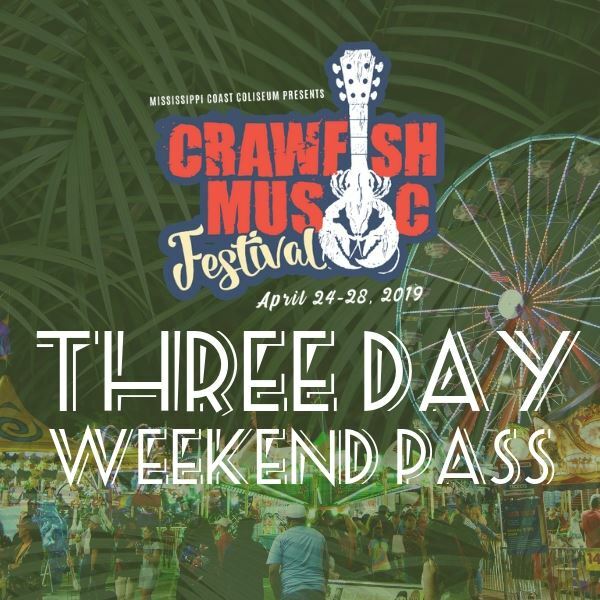 With the 3 day pass you get entry to the Crawfish Music Festival for 3 days (Friday-Sunday) with general admission access to all the music, food, vendors, and rides. Bring your lawn chair or blanket and relax on the grass! 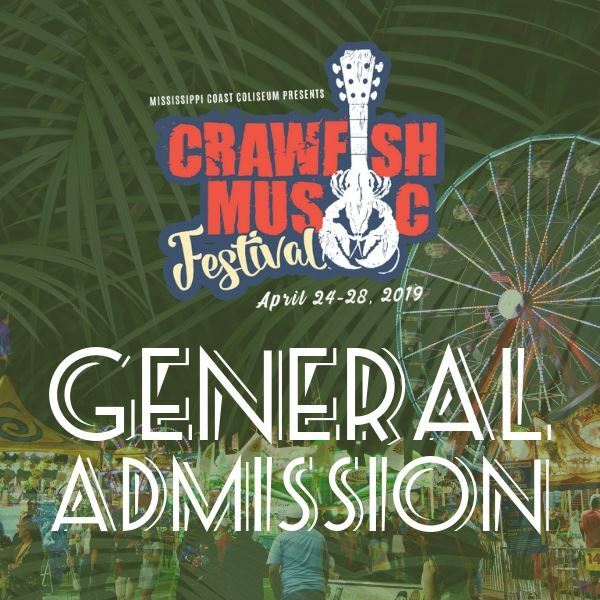 A GA ticket gets you one day entry to the Crawfish Music Festival with general admission access to all the music that show day, food, vendors, and rides. Bring your lawn chair or blanket and relax on the grass! 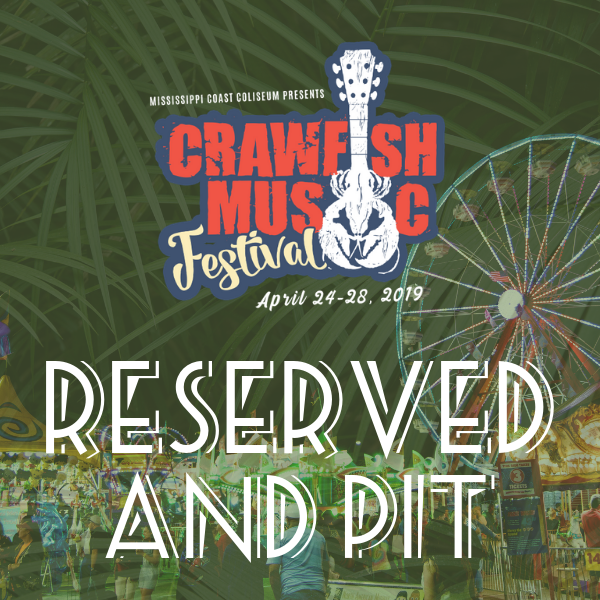 A Reserved or Pit ticket gets you one day entry to the Crawfish Music Festival with access in front of the stage to all the music that show day, food, vendors, and rides. Reserved seats are setup in front of the stage. Pit tickets are standing only closest to the stage. BUD LIGHT PARTY PLATFORM You Get: Entry into the festival, valid on any 1 day (you choose the day). Access to elevated Bud Light VIP Party Platform, cocktail service during headline entertainment (cash bar) and 2LB Crawfish Plate. MUST BE 21 OR OLDER in this area. 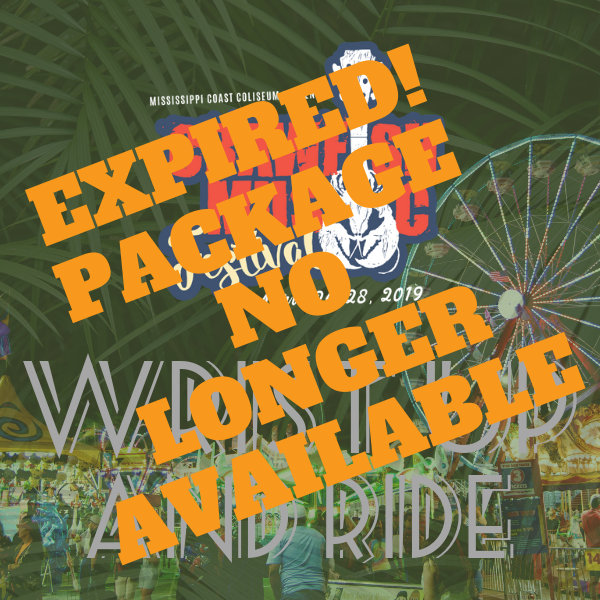 WRIST UP & RIDE THIS OFFER EXPIRED ON 4/21/19 @ 10:00 PM. 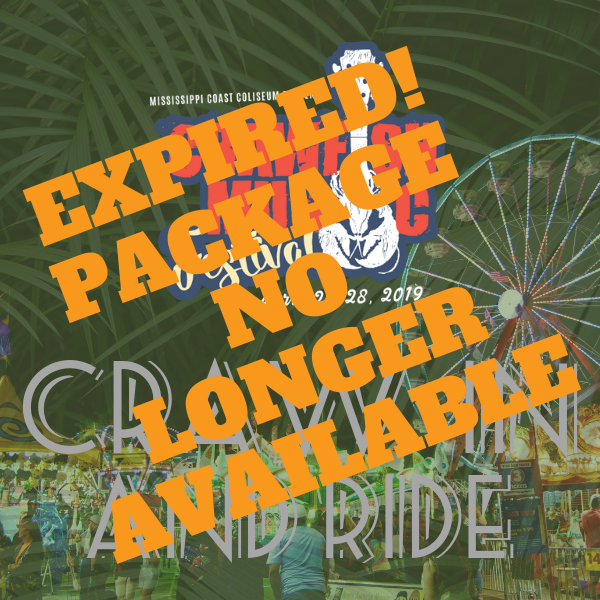 CRAW IN & RIDE THIS OFFER EXPIRED ON 4/21/19 @ 10:00 PM. Party with Crawfish Music Festival fans on the Bud Light VIP Party Platform. The elevated platform setup beside the stage with a great view of the headline entertainment! Your Bud Light Party Platform ticket gets you in the gate with access to music, food, and rides, but because you are a VIP you also get one (1) 2 lb. crawfish plate and cash bar cocktail service during headline entertainment. Limited seating and cocktail tables available. Choose the Bud Light Party Platform from the seating chart when you select your ticket on Ticketmaster.com or ask our Box Office representative how to upgrade your ticket! 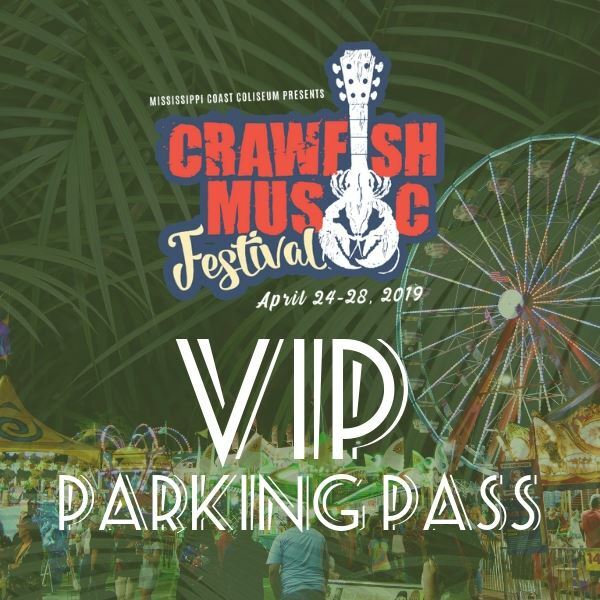 VIP PARKING PASS This is a PRE-PAID PARKING PASS ONLY AND DOES NOT INCLUDE ENTRY INTO THE CRAWFISH MUSIC FESTIVAL. Choose this option when you select your ticket on Ticketmaster.com or ask our Box Office representative how add on a VIP parking pass. 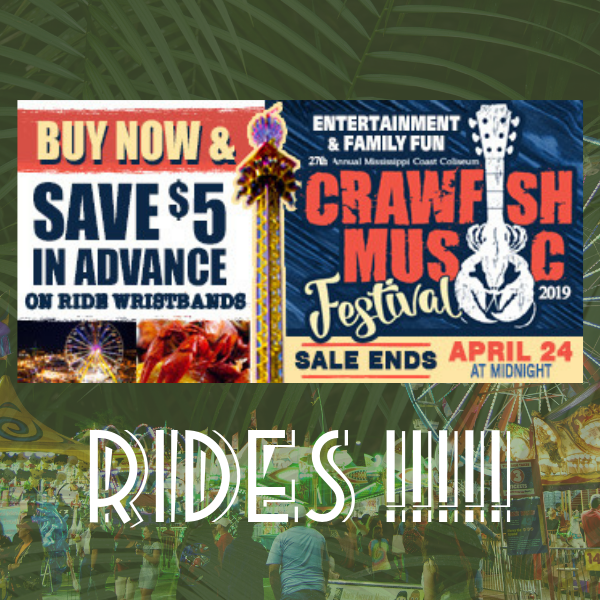 SAVE $5 NOW Purchase ride wristbands early online and save $5 per person.